Okay, finally! Time for Onett! ...Well, not yet. 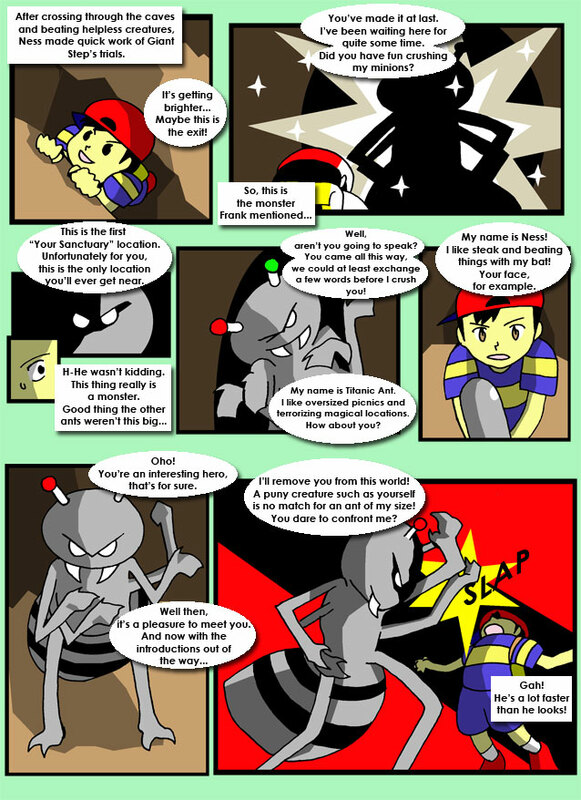 Ness humor's Lier and tags along, only to find he has a stalker. And this time it's not Lier. A little beating solves a major problem, but something else lurks around the bend. A troubled Ranboob tries his best at making a name for himself...with hilarious results! Watch as this smash hit wonder sweeps the airways coming this fall in the all new comedy, Ranboobin' Around!